Its capitol, Ouagadougou, rocked with a week of large and militant demonstrations, Burkina Faso, formerly known as Upper Volta, is in the midst of major political turmoil that could spread to other West African countries. “Burkina Faso” translates from the local language as “Land of Upright Men.” What is known to date is that after a week of angry demonstrations in Ouagadougou in which the Parliament was stormed and set on fire. Blaise Compaore, the country’s president for the past 27 years, the target of the demonstrators. was forced to resign and give up power. Compaore was in the process of trying to amend the country’s constitution so that he could extend his rule and become, like his Cameroonian colleague, Paul Biya, another French puppet, president for life. This apparently was more than the country’s 17 million people – 60% of whom are under the age of 25 – could take. 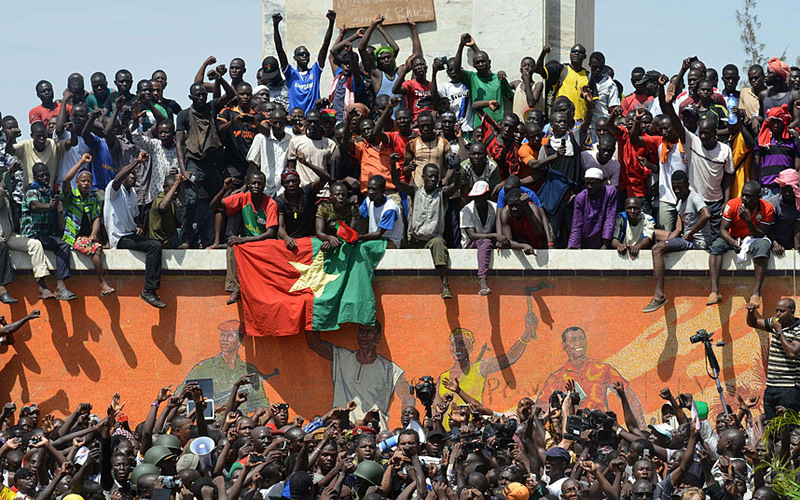 Like in Tunisia four years ago, the presence of hundreds of thousands protesters in the streets of Ouagadougou forced Compaore, to resign, his 27 year rule coming to an abrupt and undignified end. Compaore was then escorted out of the country to Po, close to Burkina Faso’s border with Ghana, by a military convoy. At least three people were killed although opposition spokespeople claim the number of casualties to be much higher, with dozens having lost their lives. Another comparison with Tunisia, under Blaise Compaore’s aegis, the country was considered the International Monetary Fund and World Bank’s “best pupils” driving an already terribly poor country into greater depths of economic and social collapse. As an article in the November 1, 2014 Times of India points out. In stark contrast, Compaore leaves Ouagadougou an extraordinarily wealthy man. He might have bled is country dry, but in the process was able to accumulate a fortune, safely tucked away in Swiss banks and Paris real estate. Will this uprising be one that ushers in a genuine process of socio-economic transformation or simply a U.S.-French directed attempt to put a new label, a new face on an old product? Time will tell. Or yet another example of a grass-roots social movement with deep-seated grievances – a la Syria, Egypt, Yemen, Mali, Tunisia – whose radical goals for change are co-opted by regional political machinations in tandem global imperialism? Again, too early to tell. Still the initial results are promising. The demonstrations forced Compaore to leave the capitol. Still in the country, he is said to be in hiding in the country’s south while different elements of the military appear to be vying for power. On the one hand there is army chief General Honore Traore, a close Compaore collaborator who claimed to be in control early on. But Traore’s claim to power is being challenged by his second in command, Lieutenant-Colonel Isaac Zida, who has rejected Traore’s bid for power and seems to have the support of major elements of the military as well as the social movement’s confidence. Still a dangerous moment that could easily disintegrate into a civil war between these factions of the military. Blaise Compaore has never been able to really tame the country’s feisty social movement which took shape in the Thomas Sankara days. The county has had a more open and critical media than many of its African media that Compaore has been unable to silence; rather than crushing the opposition, Compaore, again with a little – or a lot – of help from his friends in Paris and French-African “networks” known as “Francafrique” has been able to manage the “hoi-polloi”. But journalists who have gotten “too close to the sun” so to speak, disappear or are assassinated. Such was the fate of Norbert Zongo, one of the country’s great investigative journalists and democrats, whose 1998 assassination was never seriously investigated, although there were strong suspicions that the murder was committed by a quartet of thugs with close ties to the president (like working out of his office); these four who functioned much like the “La Main Rouge” (The Red Hand) – paramilitary hit squads working directly out of French embassies during the colonial period. The pattern was similar: warn the victim to stop his exposes, political activities, threaten him and family and then on some deserted road, move in for the kill in a small group of 3-4 hit men. Thus ended the lives of Ferhad Hached, Tunisian anti-colonial trade union leader in the early 1950s, whose assassination provided the blueprint for Zongo’s nearly a half century later, the only difference being that now the killers work out of the offices of France’s black-skinned local potentate in the service of “la mission civilisatrice”, the president of the country. On December 13, 1998, Zongo’s fried-to-a-crisp body, along with those of three other companions were found in burnt automobile that had bullet holes through the back window. Zongo and his companions were on their way to a nature preserve in Burkina Faso’s south. Again like Hached’s in 1952, the day after, Bongo’s cold-blooded murder provoked a wave of angry demonstrations, especially among the country’s university students, against the Burkinan state, targeting President Compaore in particular. Compaore was immediately accused of having ordered and orchestrated the killing. A presidential party bus was trashed and burnt; the university was temporarily shut. Soon the protests spread to other Burkinan cities, among them, Kougdougou, involving people of all ethnicities, class backgrounds. A year later on December 13, 1999, on the first anniversary of the assassination, new demonstrations erupted nationwide, calling for an investigation that, of course, never happened. After all, states are rather lax in investigating their own crimes against their citizenry, be it Burkina Faso or elsewhere. 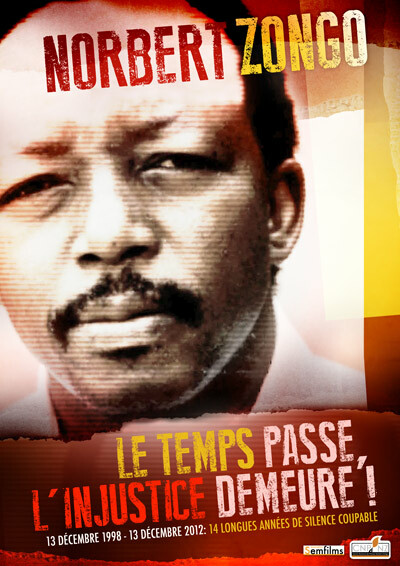 Fourteen years later, two years before the current uprising, posters appeared throughout Burkina Faso “Norbert Zongo: Time Passes, the Injustice Remains” – calling for an official investigation into his death. In an article written by Belgian African specialist Colette Braeckman on the first anniversary of Zongo’s assassination, a Burkinan student confided, “He spoke for us, for all of us; it is as if ‘they’ wanted to silence our collective voice.” (Le Soir, December 22, 1999). William Black, former federal bank investigator wrote a searing critique of the banking industry during the 1980s Savings and Loan scandals here in the United States entitled “The Best Way To Rob A Bank Is To Own One.” The African version of this is “The Best Way To Rob An African Country Is To Become President…With A Little Help From Friends In Paris.” In what way did Zongo “speak for the people” of Burkina Faso? For years he published a weekly newspaper, L’Independant, the most popular and widely read in the country which kept readers informed of national economic and political issues. Zongo, something of a Burkinan I.F. Stone, did a good deal of investigative articles that uncovered the same patterns of state corruption with their strong links most especially to French multinationals that would permeate other post-colonial French colonies in which, yes, political changes had taken place, but the economic structures remained very much in the service of the former colonial power. First he uncovered the dubious financial dealings of Solifex, a company that produced a pesticide called Saphyto, as well as having a monopoly on Burkina’s cotton production. The profits of the company were diverted to the state managers, many of whom were close relatives of Compaore and by the French commodities company which marketed the product. Add to this the fact that the Saphyto pesticide sold to local farmers was diluted to such a degree that it was ineffective. Another expose nailed Ouagadougou’s mayor, one Simon Compaore, also a member of the president’s clan, in a construction, building materials and apartment allocation scandal that included, as a precondition of getting an apartment, sizable bribes. Perhaps the biggest financial scandal Zongo’s investigation uncovered involved, literally the theft of the nation’s gold by a state-owned mining enterprise, again (as usual) with umbilical connections to French mining interests that mined Burkina gold and then essentially diverted and confiscated all the profits thereof between the local managers, (yes, of course! with ties to the Compaore clan) and Paris. French President Francois Holland issued a statement along the lines that Paris would “contribute to the calming of the situation.” Given France’s military interventions in Libya and Mali these words have an eerie ring to it; French special forces are present in nearby Mali and Chad should the events in Burkina Faso take a turn not to France’s “liking.” Over the decades the Chadian military has played a dark role in rolling back social movements and has been repeatedly accused of war crimes, its actions almost always supported by Paris. Washington urged “a transfer of power in accordance with the constitution,” a formulation which sounds reasonable but could also be a warning that, like France, the Obama Administration will not accept the process of political change “going too far.” “Going to far” essentially refers to maintaining the economic and security status quo in such a manner that the economic and political balance of power in Burkina Faso and the region remain unchanged. Burkina Faso has a long post-colonial history of fluctuations between popular uprisings, periods of parliamentary democracy and military coups. Compaore came to power in 1987 after he helped engineer the assassination of Thomas Sankara something of a Burkina Faso “Lumumba”. At the time he plotted his country’s president’s assassination, Compaore, a captain in the Burkina military,was Sankara’s second in command. This, along with Compare’s consolidation of power, was achieved with no little complicity from Paris. Poorly known in the USA, 27 years after his assassination, his legacy is still alive in the country. Among Compaore’s less notable “achievements” – he was an active supporter of Charles Taylor’s militias in Liberia and helped fan the Civil War in Sierre Leone – two of the three countries facing the Ebola outbreak. Compare helped Taylor buy weapons from Khadaffi in Libya which were then transferred to the Liberian rebels through Burkina Faso. In a like manner, under Compaore’s “leadership” Burkina Faso was also key link in the blood diamond trade (a transfer point between Angola and Europe). Like Ben Ali in Tunisia – Compaore’s family dominates the entire country’s political system and economy. One thing, as long as Compaore remains in the country, he remains a potent danger to the country’s democratic aspirations. 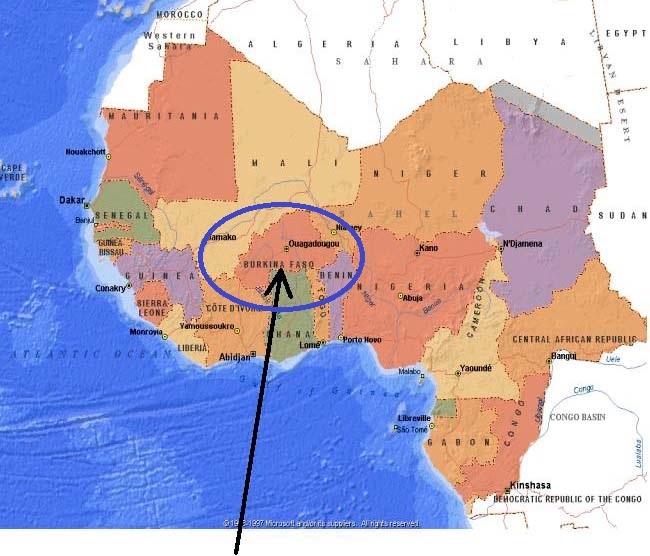 One source, the BBC, claims he has left the country and is now in Ivory Coast. How far will the revolt go – will it rekindle the Sankara economic and social reforms, or will it be, like Tunisia – “all the change necessary to maintain the status quo”, ie, neo-liberal economic policies directed by the IMF, etc… stay tuned. Survie: De Ben Ali A Compaore Les Elites Francaises Contre Les Peuples. (note in French, from Survie, October 31, 2014). Argues how France’s elite defends Compaore up to the end and even afterwards.